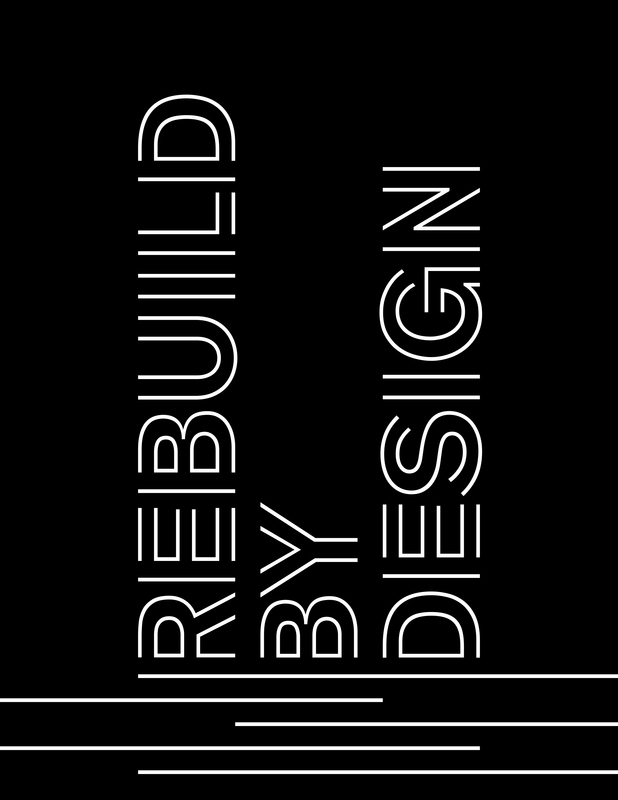 Rebuild by Design is a design competition launched in the wake of Hurricane Sandy’s devastating effects on Northeast United States, sponsored by Secretary of Housing and Urban Development Shaun Donovan in partnership with the NYU Institute for Public Knowledge, the Municipal Art Society, the Regional Plan Association, and the Van Alen Institute, with lead funding support from the Rockefeller Foundation. This competition organization has just published a book chronicling the innovative competition’s approach, research, collaborators, and projects. JLP+D was part of the winning team team, led by BIG (Bjarke Ingles Group), that developed the BIG U, a protective system for ten continuous miles of Manhattan shoreline that not only shields vulnerable communities against floods and stormwater, but also provides social and environmental infrastructure and an improved public realm. Phase One of the plan, referred to as the East Side Coastal Resiliency initiative and overseen by the New York City Department of Design and Construction, will be built with $335 million in funding awarded by HUD in 2014, the agency’s second-largest project-based CDBG- DR program funding award ever made. This entry was posted in Projects and tagged Waterfronts. Bookmark the permalink.